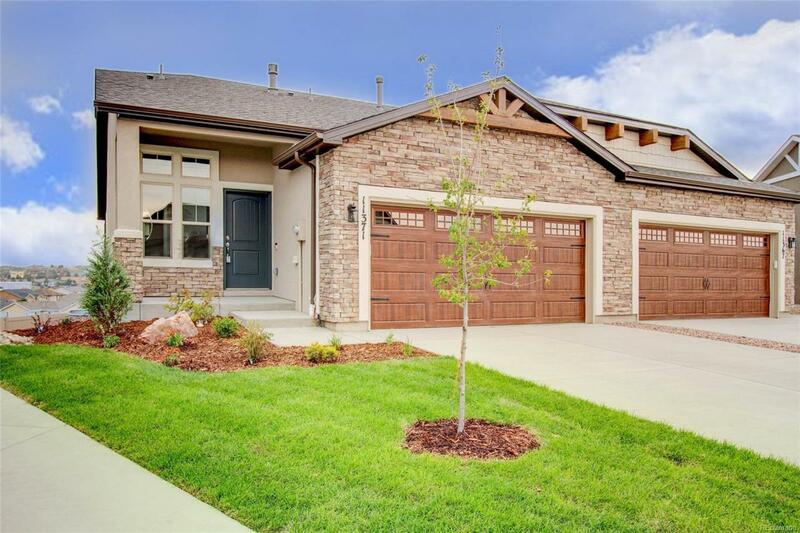 Great new build with stunning Front Range views. Conveniently located close to shopping and entertainment. Inside you a greeted by stunning interior with tall ceilings in the open great room. The living/dining room combo has a gas fireplace and large windows. The kitchen has granite counters, counter bar, and stainless steel appliances. A large pantry offers lots of storage space and the kitchen walks out to a trek deck. The raised back deck has amazing views of the Front Range. The main level master features an attached bath with a double vanity and a tiled shower as well as a large walk in closet. The large basement family walks out to the back. There is also a full bathroom and two additional bedrooms, one with a walk-in closet, in the basement. The house has a smart doorbell system as well as a smart thermostat. Offered by Re/Max Integrity, Inc.